Well in advance of the Opening Ceremonies, the public relations leading up to the 2016 Summer Olympic Games was mixed at best. The Rio Games were dogged by controversy and criticism, from dire predictions about the spread of Zika virus, to concerns about crime and overall infrastructure. But the cloud over Rio cleared after a shaky start, and things ended on a triumphant note –for the host city, anyway. 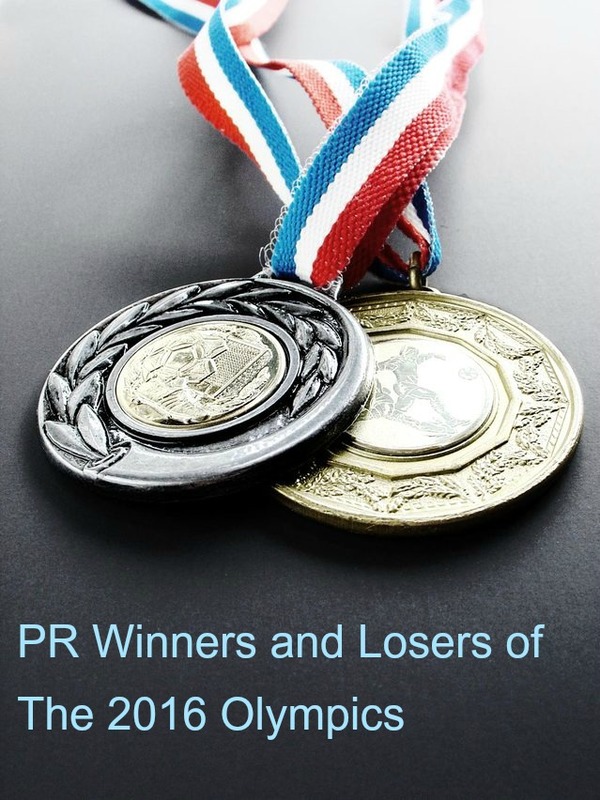 Here’s our take on the PR “winners and losers” during the 15 days of the recent Olympic Games, apart from Rio itself and athletes named Simone. Visual storytelling. As always, there were stories of triumph and disaster among the athletes, and major media companies stepped up to the challenge. The New York Times enhanced our understanding of Simone Biles’ amazing athleticism through riveting multimedia features. Reuters used Virtual Reality and The Washington Post experimented with automated storytelling. Not all were equally successful, but it was a strong sign that traditional media companies are committed to exercising new storytelling muscles. Older athletes. As ridiculous as is sounds, this was an Olympics for “geezers.” The average age for an Olympic athlete in Rio is up by double-digit percentages in both gymnastics and swimming, as well as five percent for track and field events. The Games illustrated how sponsor funding, sports science, and high-tech training techniques helped to make this the oldest crowd to hit the podium, giving media plenty of individual athlete stories to cover and stoking interest by viewers of all ages. The trend enables “comebacks” by such late bloomers as 31-year-old Michael Phelps and Uzbek gymnast Oksana Chusovitina, who competed with teenagers in Rio at an elderly 41. “Underdog” nations. Even as we in the U.S. cheered the home team athletes, it was exhilarating to learn about the many nations who scored podium spots for the very first time. Singapore, whose Joseph Schooling became a national hero by beating out Michael Phelps for the gold, was joined by Kosovo, Puerto Rico, Vietnam, and six other novice countries who tasted victory in Rio. Sportsmanship. Some bad behavior notwithstanding, the Rio Games saw its share of exemplary handling of the agony of defeat. Missy Franklin made no excuses when she fell short of expectations, and Kerri Walsh-Jennings managed her first failure to win Olympic gold with grace. Swimming champion Katie Ledecky delighted viewing audiences with extraordinary performances in and out of the pool, and who can forget the photo of her finishing a full 11 seconds ahead of her closest competitor? It was a meme bested only by #PhelpsFace. Ryan Lochte. For someone who actually medaled, Lochte was the ultimate Olympics loser. His drunken vandalism of a Rio gas station might have been excused if he’d only come clean about it (and the apparent overreaction of a security officer there), but Lochte concocted a self-aggrandizing robbery story, then skipped the country, leaving his teammates to answer to authorities. Despite a public apology for his behavior, Lochte paid a high price in bad PR and a damaged reputation. Worse, he stands to lose millions as endorsements dry up. Trollish behavior. Honorable mention for unsportsmanlike behavior goes to Hope Solo, who called the Swedish soccer team “a bunch of cowards” after it beat the U.S., and Gabby Douglas, for her less than enthusiastic reaction to her teammates’ victory. (Earlier Douglas was criticized for not placing her hand over her heart during the national anthem following the team’s gold-medal performance.) But even on Twitter, the trolls were defeated by an outpouring of support for Douglas among celebrities and others. Russia. Although it was allowed to compete, Russia never really escaped the stain of its drug-use scandal. Its athletes were sometimes booed by the live audience, and it came in fourth in the medal count. A new cold war was born. NBC. At 28.2 million viewers, primetime network ratings lagged well behind those of the London Olympics. Although its ratings — and ad revenue — were still well head of network rivals, and streaming viewership may have pulled those numbers up, the drop was particularly steep among younger viewers. This doesn’t bode well for the future. NBC was criticized for tape-delayed broadcasts, but its real failure may have been a lack of, um, flexibility and innovation in covering big sports like gymnastics where most fans are unfamiliar with technical details and there was little inherent competitive drama. It didn’t help that NBC’s Chief Marketing Officer blamed the drawn out, soap-opera-like coverage of the Games on women viewers, claiming they’re not really sports fans but are “more interested in the journey.” In an excellent New Yorker piece about the technical depth of gymnastics, Reeves Wiedeman offers the network a new idea for how to cover – and watch – the Games.